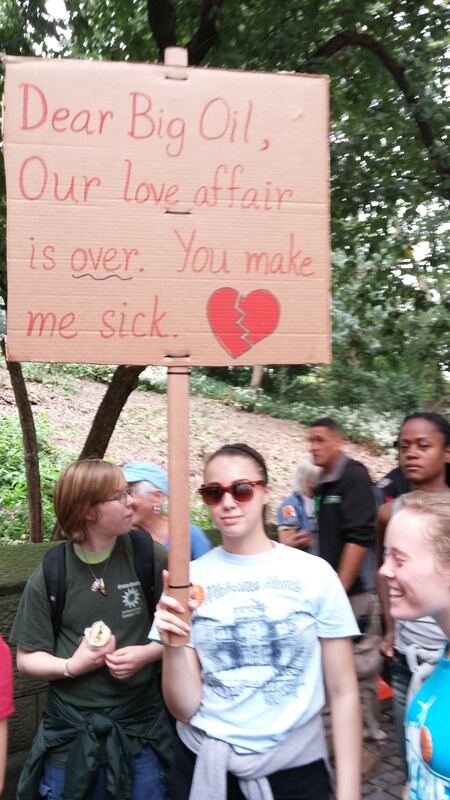 Central Park West near 81st Street. Photo courtesy of Joe Wachtel. Well, at least you can call it a victory in this sense–410,000 people in New York City were NOT watching football on Sunday afternoon. With apologies to my family and friends in Pittsburgh and Indianapolis–I must say, that’s something I would celebrate! 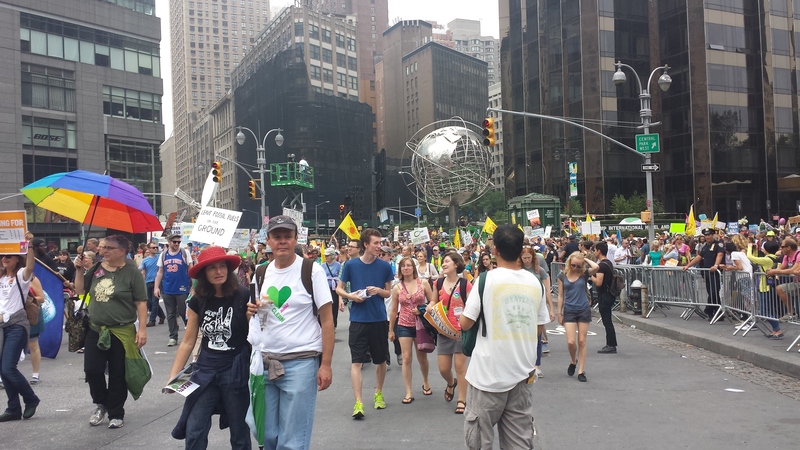 The People’s Climate March, which snaked slowly around the west and south sides of Central Park into midtown on September 21, 2014, was a huge success in another way. Whatever you may have seen or heard about it, and I’m sure pundits will critique whether a clear and urgent message was sent, the march was important because there was such an outpouring of individuality and grass-roots passion in the diverse messages participants delivered. Sure, there were a few mass-produced products, but even those were inspired. 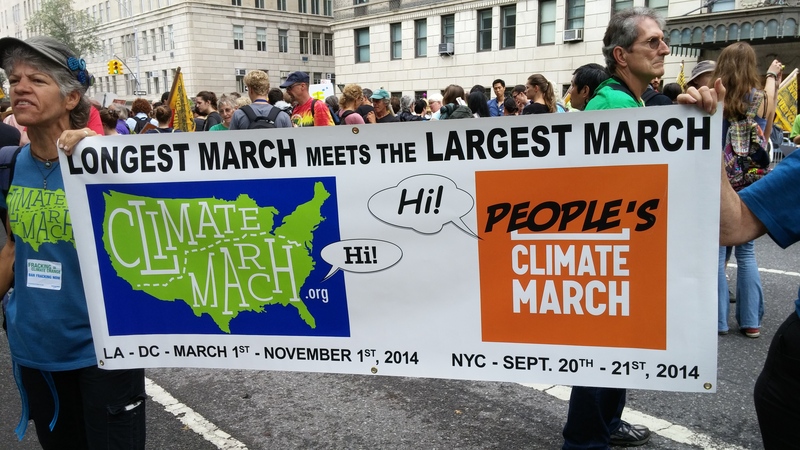 If you came to the march without a banner, you could pick up an orange cardboard template that read “I’m marching for…” and fill in the blank. You name it–penguins, maple syrup, polar bears, horseshoe crabs, sunrises, roseate spoonbills. People got very creative. Kahlil Gibran’s 1923 classic, “The Prophet,” advised us to “Say not, ‘I have found THE truth,’ but rather, ‘I have found A truth. 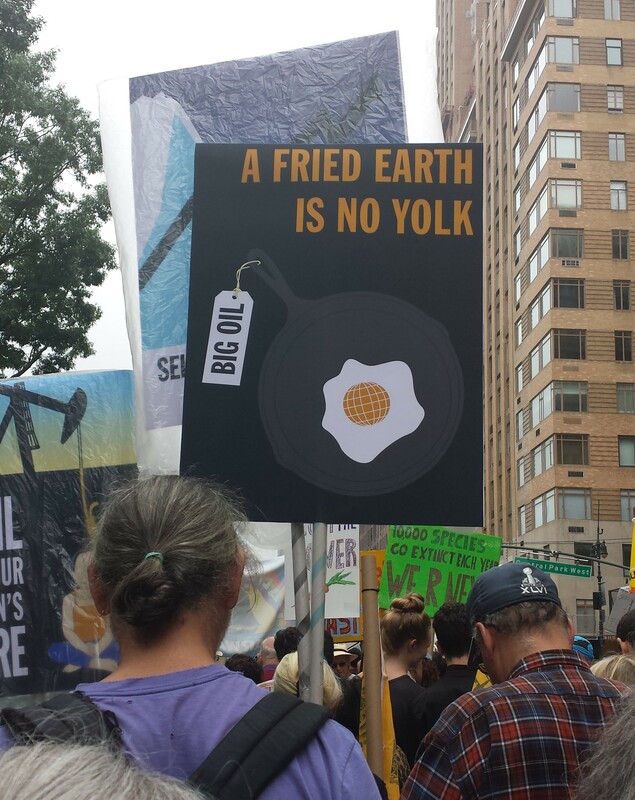 '” There was so much truth to be found in these simple, yet clever, signs and banners. 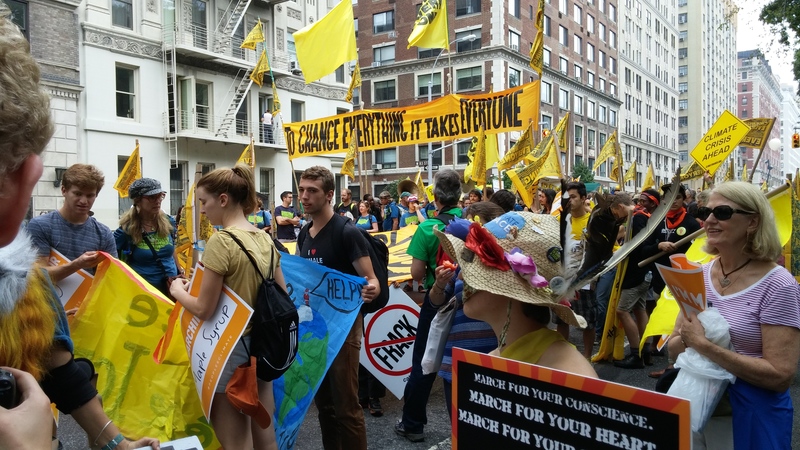 I’m including a collection of the best I was able to see while standing (and briefly, moving) with the singing participants from the Hudson River Sloop Clearwater group (we had our subgroup label as well–categorized with the nuclear-free, carbon-free contingent)! All of us were frozen in position for more than 2 hours in front of the legendary Dakota at 72nd Street and CPW, where we observed the memorable minute of silence, which I guessed would never happen. I was wrong. Stunning how quiet it got at 12:59 pm, as everyone raised their hands to the sky. Then a minute later, a cacophony of sound broke loose. Well planned and executed. 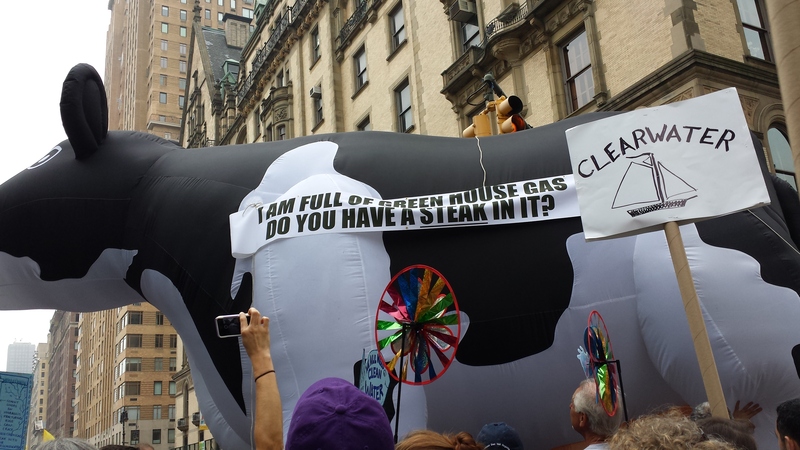 There was some topical self-promotional flair, though not quite as grand as the Macy’s balloons. 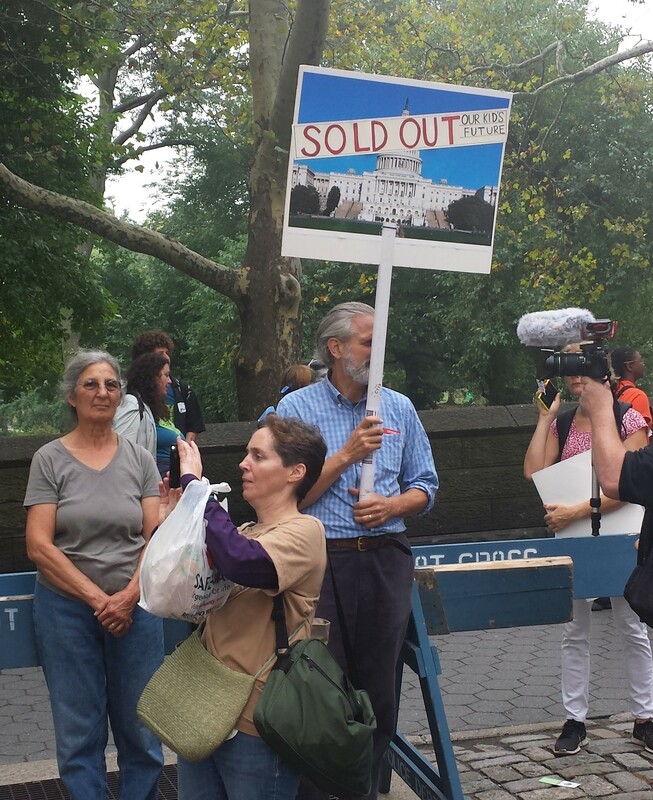 A documentary, “Cowspiracy,” wanted everyone to get their message. 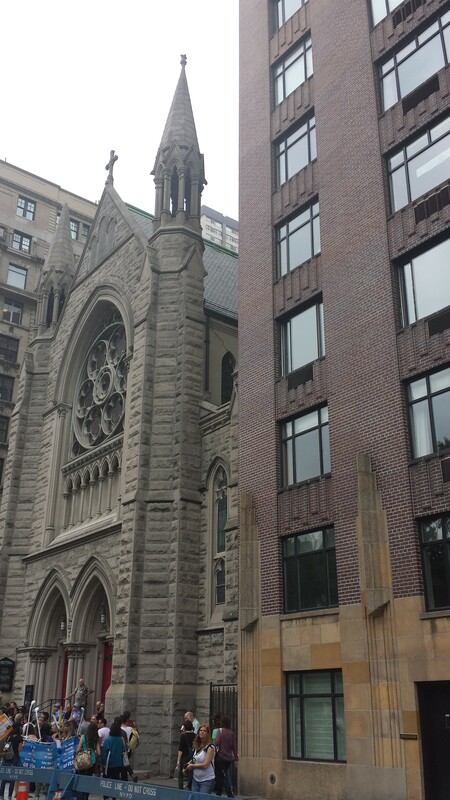 By 2 p.m., we were crawling slowly down CPW, so I got to savor the experience of passing 55 Central Park West, infamous Spook Central of the 1984 film, Ghostbusters. 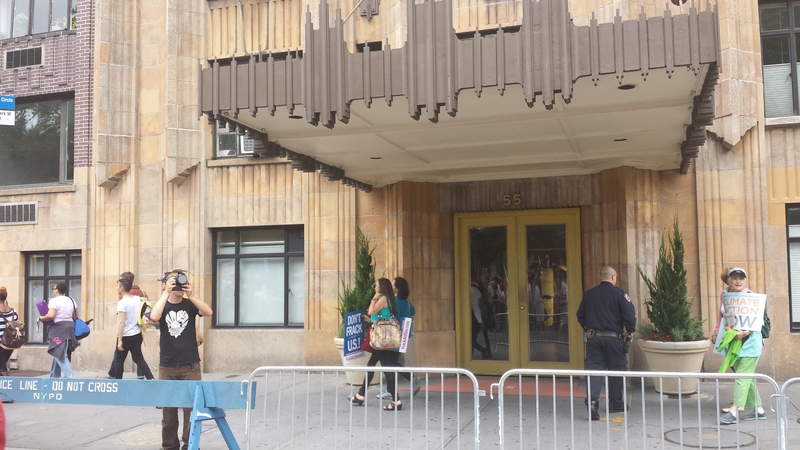 There were police barricades and cops, just like in the movie! It was a priceless moment for me, treading in the destructive footsteps of the Stay Puft Marshmallow Man, and recalling that great line–“nobody steps on a church in my town!” I may have been off-task, but my inner tour guide knew there would probably never again be a chance to photograph that classic Gotham film shoot site in broad daylight from the middle of the street. 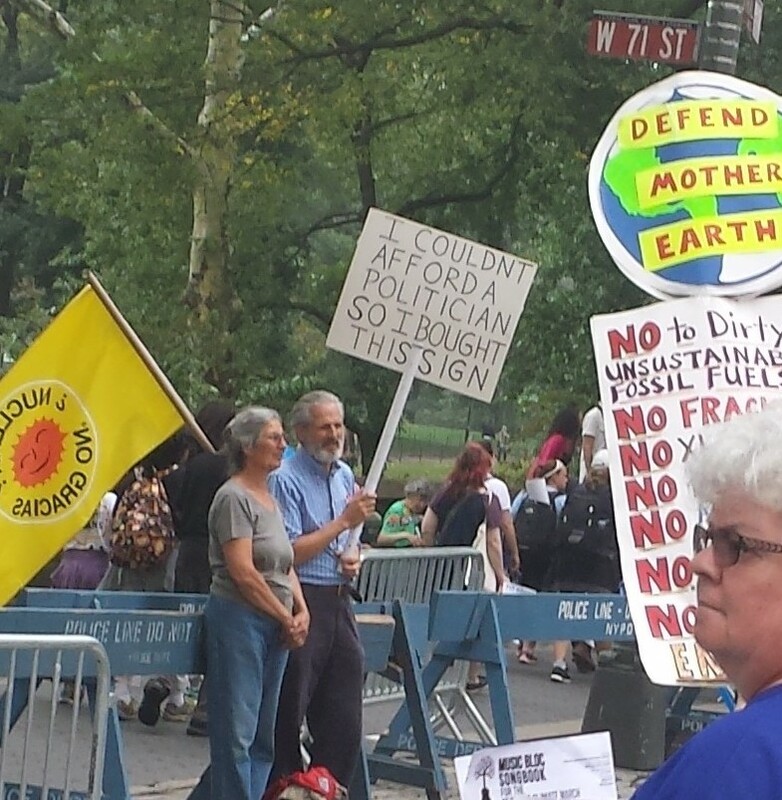 Photo courtesy of Joe Wachtel, right, who displays his creative and eco-friendly message on a re-useable shopping bag. 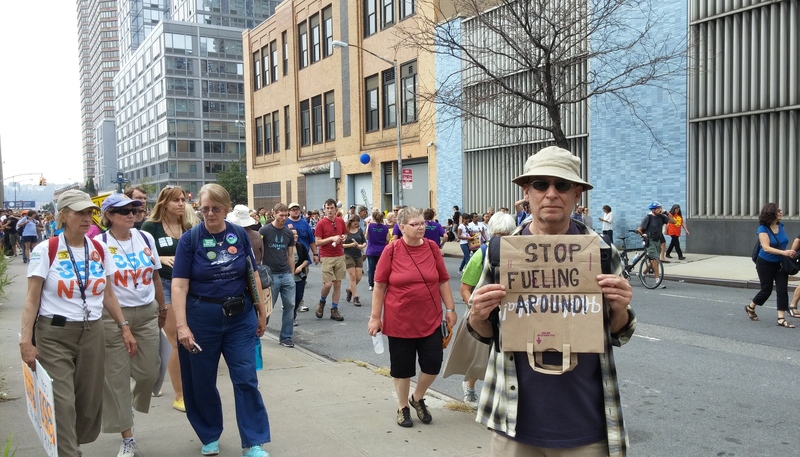 My neighbor, Joe Wachtel, started in the march further uptown near Zabar’s, with the foodie contingent. He kindly agreed to share some of his photos. Enjoy the pictures below, and don’t forget to keep conserving resources, treating the planet gently, and trying to hold politicians accountable. Text copyright 2014 Vivian R. Carter. Photos above and below copyright 2014 Vivian R. Carter, unless designated as courtesy of Joe Wachtel. Photo courtesy of Joe Wachtel. 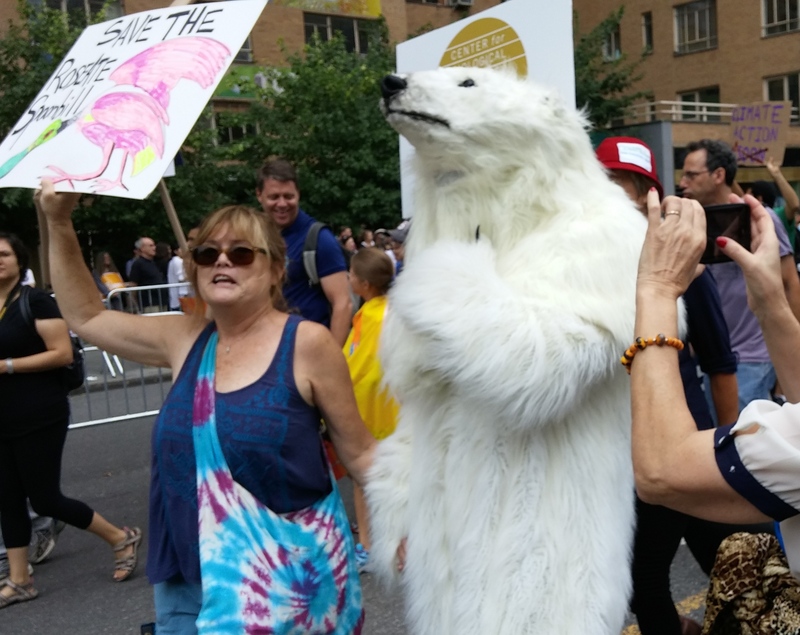 Save the birds or the bears–your choice! Who knew? Photo courtesy of Joe Wachtel. Match the colors of your sign and your shirt, and wear a backpack with a cool design, for maximum effect! 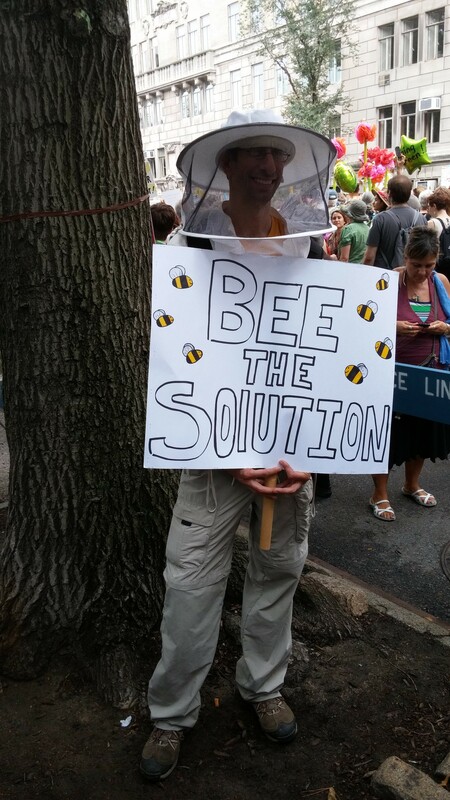 Photo courtesy of Joe Wachtel. I often try to imagine a world without cars, and vintage maps are helpful. 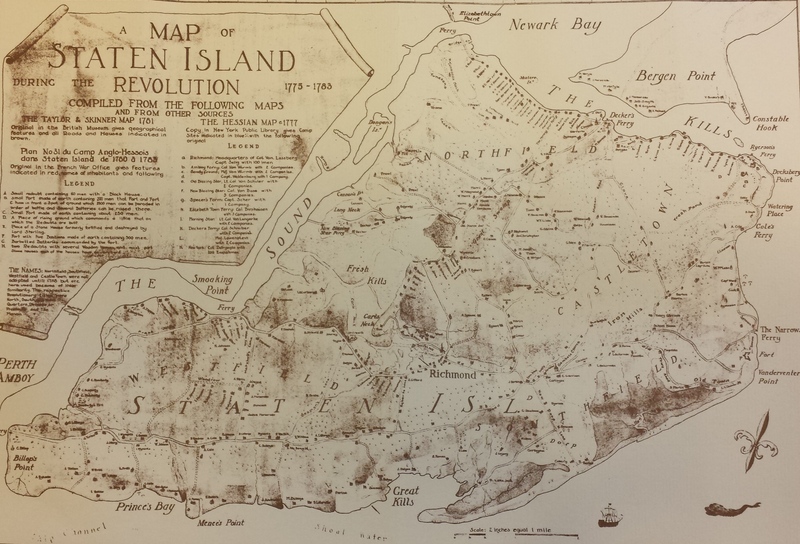 This week, I am gazing at two examples–(1) the Beers 1886 map of Central Rockaway Beach, New York and (2) a sepia drawing of Staten Island as it appeared from 1775-1783. Both maps predate the invention of motor vehicles, and depict two neighborhoods surrounded by water, with nary a bridge in sight. The largely agrarian land mass of Staten Island (about 60 square miles in area), was criss-crossed with miles of wagon roads, terminating at seven ferry landings. Four of these would ultimately become toll bridges (the Verrazano-Narrows, Goethals, Outerbridge Crossing, and Bayonne), and one of the others continues to the present day as the island’s St. George terminal for free 24-hour ferry service to Manhattan. Back to Rockaway Beach. During tourism’s heyday, this small section of the peninsula, less than 20 blocks long in the 1880s, hosted five boat landing sites with regular service–the famed Iron Pier, where large oceangoing vessels could dock at Beach 105th Street, plus bayside landings at Hammels, Holland, Seaside, and Beach 108th Street’s Neptune House. While Staten Island had vast agricultural acreage (even well into the 20th century), the spine of the narrow, 11-mile long Rockaway Peninsula was one busy thoroughfare for wagons (called “Central Boulevard” in the early days), traversed by wooden pedestrian walkways, sand paths or dirt streets, depending on the location. At one time, train lines also ran parallel to the Boulevard, along the beach and the bay. So there were lots of transportation options for visitors and residents, even before the advent of trolleys, cars and buses. 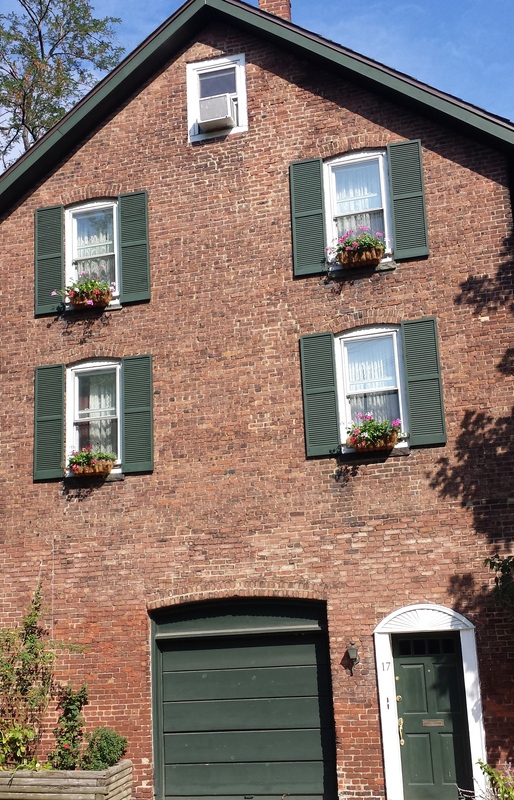 To this day, stately historic buildings grace the North shore of Staten Island. Staten Island’s farming and fishing businesses were later supplemented with several large factories during the 1900s, while Rockaway continued to thrive on tourism well into the 1950’s. Vast changes occurred in both places with the arrival of Robert Moses’ roads, bridges, parks, and housing developments. Both communities eventually attempted to secede from the City of New York, although not at the same time. That’s a bigger story for another day. On this muggy day in September, as New York City seems ready to terminate regular ferry service to the Rockaway peninsula next month, I’m merely waxing nostalgic on the “ferry” nice world we have lost. 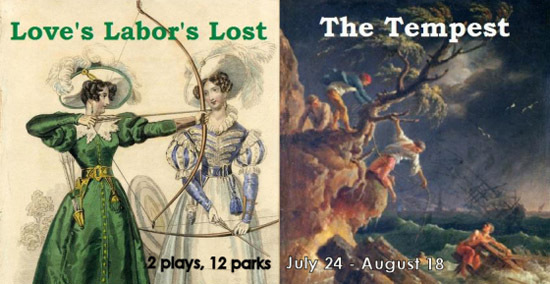 Text and photos (including header photo) copyright 2014 Vivian R. Carter. Maps from public domain sources. Past tents of the Rockaways, at Beach 98 Street and the boardwalk,late 1930’s. 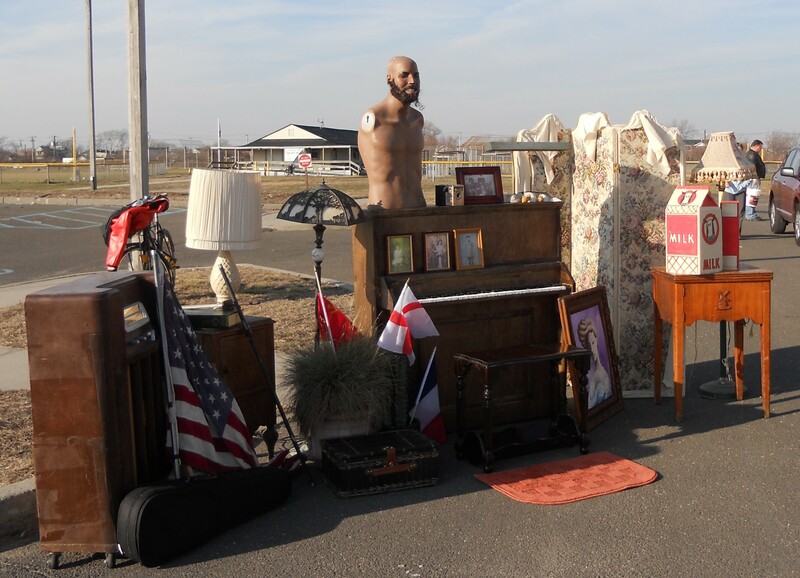 9/4/14 UPDATE: Camp Rockaway achieved its Kickstarter funding and will be showing off a model tent on Saturday, September 6, 2014, from noon to 5 p.m., at Beach 92 and Holland Avenue in Rockaway Beach. The public is invited to this “Open Tent” event, to see what is planned and ask questions. Thanks to all the backers who helped fund the project on Kickstarter! Ahh, Camp Rockaway! The first tent camping proposed for the Rockaway peninsula in over 75 years has taken off on Kickstarter.com. The blogosphere has been chattering since the campaign was launched by sponsor Kent Johnson in mid-May. Future tents of the Rockaways? 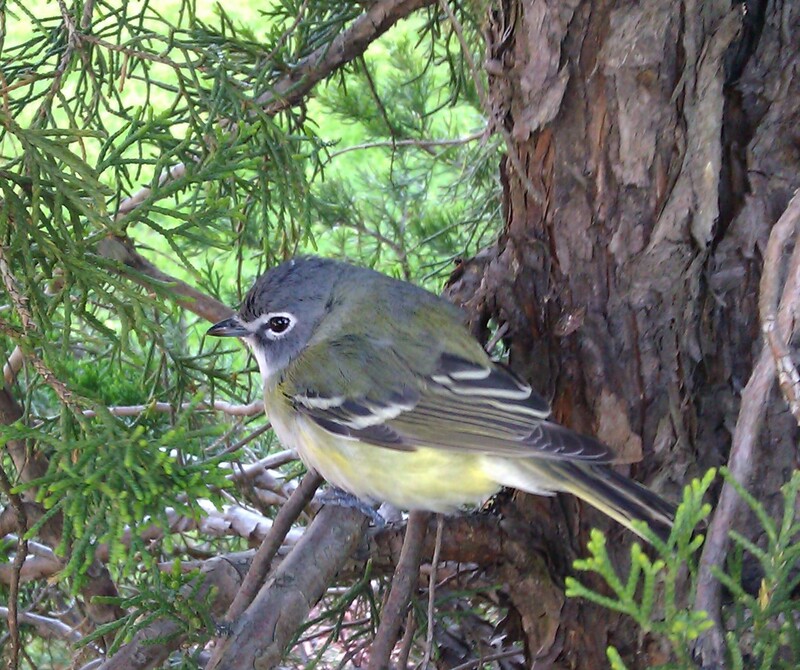 Image courtesy Kent Johnson. The June 18 cutoff date is looming, and the project has achieved about 2/3 of its funding goal, so it certainly seems like an exciting and promising prospect in the making. I have supported the idea of Camp Rockaway since Johnson first contacted me about it in February, and I applaud him and his partners in this venture for their careful research, trend-spotting, and willingness to take a risk on something that could really amp up local tourism. After all, glamping (slang for “glamorous camping”) is all the rage right now. 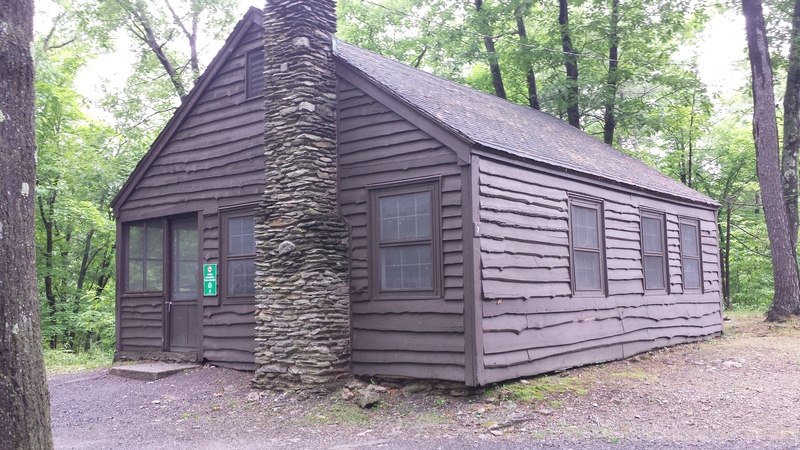 You can’t surf at Columbia County’s Lake Taghkanic State Park, but you can boat, swim, and stay overnight in a rustic 2-bedroom cabin that rents for a little over $100 per night. Last summer, New York state parks introduced yurts (large, circular platform tents with beds and other furnishings inside), and they have been popular in California and Pennsylvania parks for awhile. There are a number of well-reviewed privately owned glamping sites in the Adirondacks and the Catskills. Rates in New York run from about $75 to $200 per night, depending on the amenities. You can’t do much better at Motel 6. One misconception should be corrected. 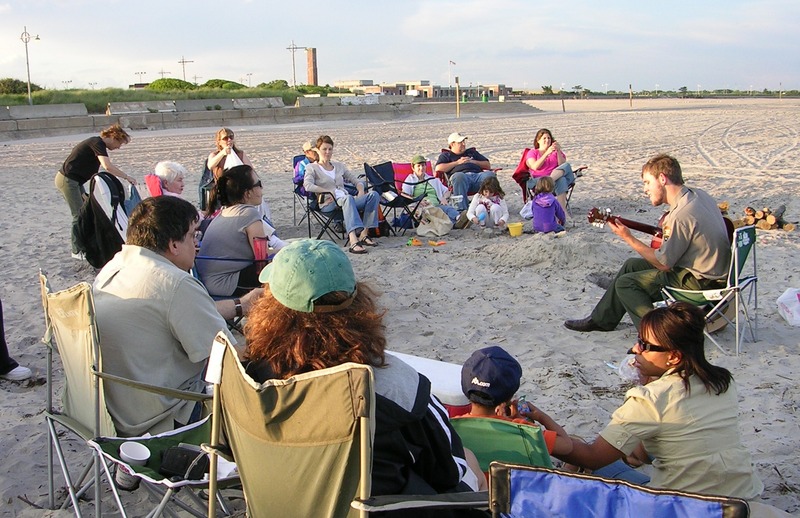 Camping in Rockaway is not illegal, as asserted by some critics of the Camp Rockaway concept. There is a rule prohibiting camping in New York City parks, but both federal and state parks in New York have camping facilities, and private landowners may do as they wish. I’ve slept under the stars in the Rockaways twice­—on the grass in Riis Park during the Relay for Life cancer fundraisers, and in my front yard in Belle Harbor when the lights (and air conditioning) blacked out in the entire city on that muggy night of August 14, 2003. It’s kind of cool to live in a city neighborhood where sleeping outdoors in your yard or local park is even an option. 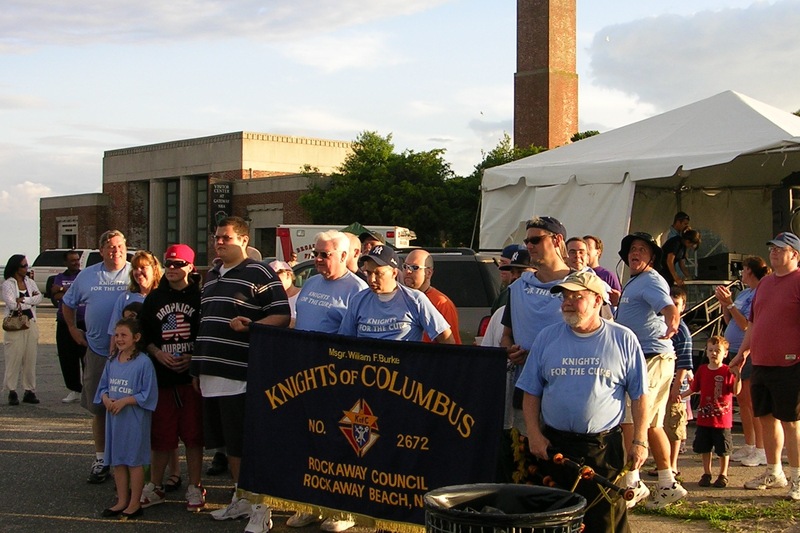 The Knights of Columbus have always anchored the all-night horseshoes tourney at the Relay for Life cancer fundraiser, Rockaway’s annual group tent camping event at Riis Park. The original tent camping on the Rockaway peninsula existed from about 1900 to the late 1920’s, when bungalows began to ascend in popularity. These sites were all privately owned, but the owners eventually lost their tent sites when the areas near the beachfront were taken over by NYC Parks Department in the 1920’s and 1930’s. 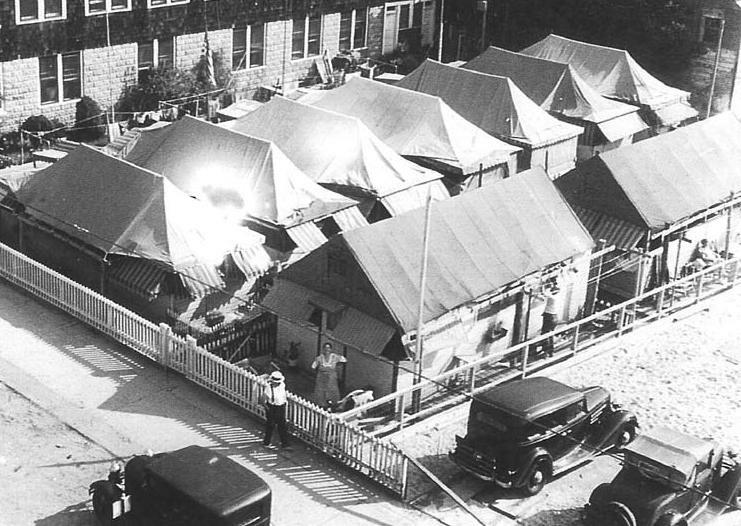 A few rows of tents remained at Beach 98 Street until the late 1930’s, hemmed in by the boardwalk. Making s’mores at Riis Park campfire. I come from a long-time camping family, and can attest that bugs and risky weather come with the territory. 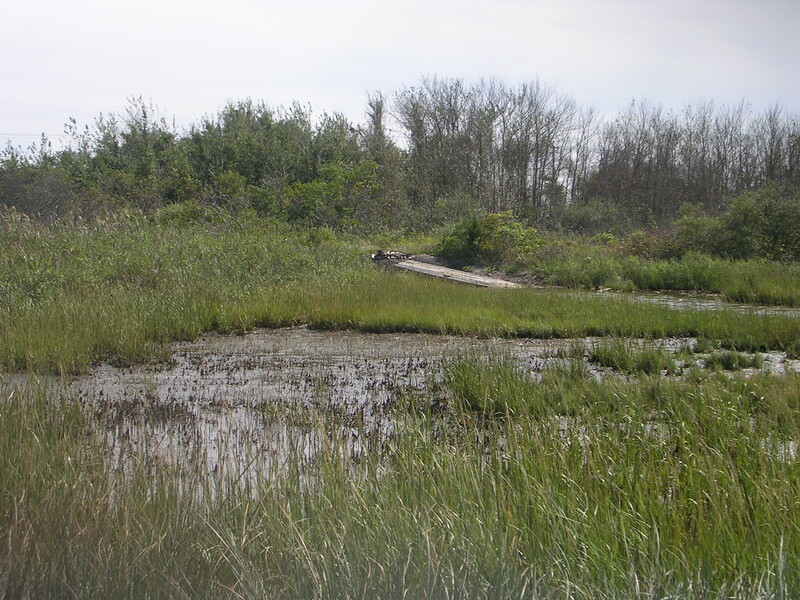 Historically, the entire bayfront from Mott’s Point to Hammels Landing was marshland, later filled in to build homes and businesses. Standing water can lead to breeding insects. The location for Camp Rockaway needs to be carefully selected and landscaped, to alleviate this problem. But don’t forget, the idea of camping is to get close to nature and create long-time memories. You’ve gotta’ embrace it! The weather will be another challenge. One online commentator remembered that the federal park service tried to establish an oceanfront tent campground at Ft. Tilden in the 1980’s, and it was plagued by problems with wind. 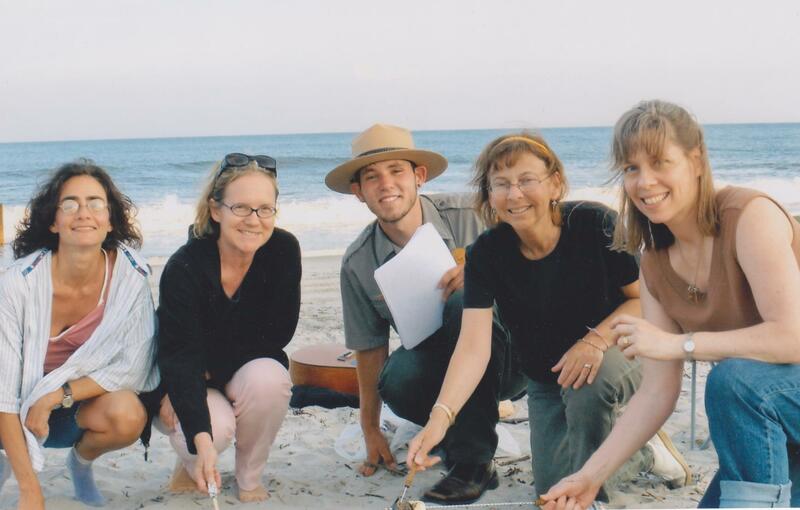 These days, the rangers build a campfire on the beach at Riis Park on the three major summer holiday weekends, and invite participants to toast marshmallows and sing along. Much more manageable, as lawn chairs are the only potential windborne projectiles to deal with. And of course, there’s the question of security at any ‘glamping’ site that attracts iphone toting, upper-middle-class tourists adventurous enough to sleep outdoors. The plans for the camp wisely include fences and a security patrol. I wish all the best to Kent Johnson in his quest to identify a site for Camp Rockaway, get plans and permits approved, and open the gates for business next summer. We need more places that welcome overnight tourists, even if the occupants won’t exactly be sleeping under the stars. 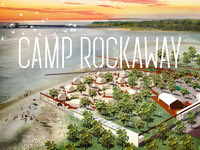 If you’d like to help support and fund this intriguing venture, please visit https://www.kickstarter.com/projects/651502646/camp-rockaway. 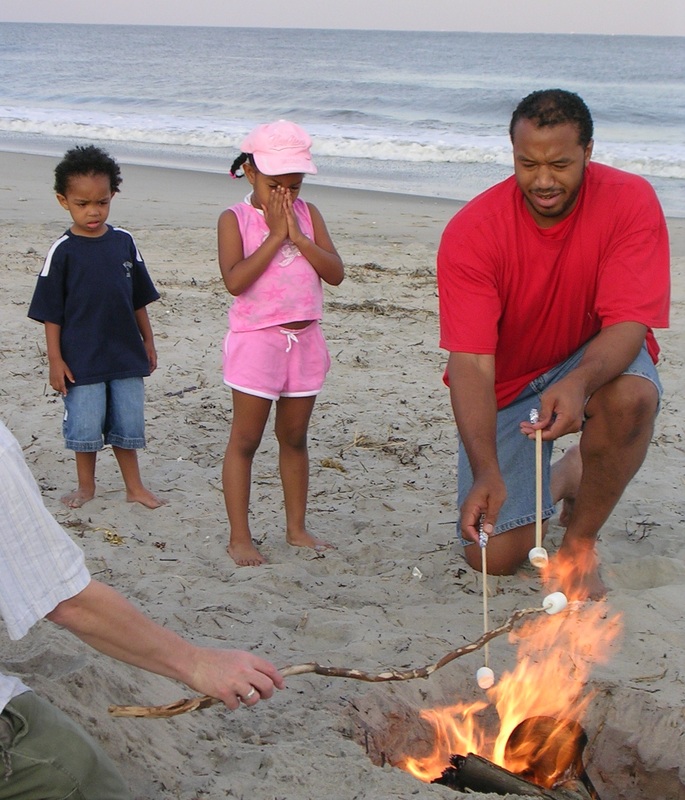 National Park Service ranger Ricky, surrounded by a bevy of marshmallow-toasting gals at the Riis Park campfire. Text copyright 2014 Vivian R. Carter. Vintage tent photo courtesy of the Auer family. Camp Rockaway image courtesy Kent Johnson. 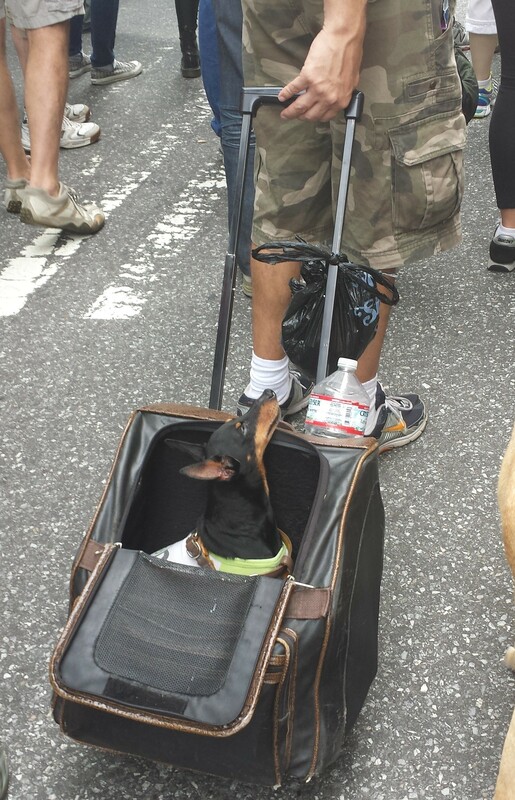 Last photo in post, courtesy Wendy Armenio. Remaining photos copyright 2010 Vivian R. Carter. At the turn of the century, only ten streets of hundreds on the Rockaway Peninsula were numbered—and Fifth Avenue (now known as Beach 116 Street) was one of those ten streets. The City of New York, which replaced the Town of Hempstead as Rockaway’s distant overlord in 1897, ordered all of the peninsula’s streets to be numbered starting at the Nassau County line. The order came in 1916. But through the end of World War I, locals resisted adoption of the new street scheme, so the name ‘Fifth Avenue’ clung to Beach 116th for the first two decades of the century. Dismantling of the mammoth Rockaway Beach Hotel in 1889 had fueled the growth of the area known as Rockaway Park, which, at the start, coincided with the property lines of the failed hotel, a structure so colossal that, together with its bathhouse, train platform, boat landing, and power plant, it extended from what are now Beach 112th to Beach 119th, beach to bay. Raucous tent colonies, bungalows, dancehalls, and amusements lay to the east; open sand dunes to the west. At the turn of the century, Fifth Avenue, Rockaway Park, was the commercial shopping district of a prosperous suburban community, poised for its coming of age. Starting as a simple, tree-lined block with a few stores and a train platform, by the 1920s, it boasted two oceanfront landmarks, the Park Inn and Curley’s Atlas Hotel, the cavernous dining room of the Harbor Inn on the bay front, and the stately Pierce Hotel in between. Big money and powerful interests had already begun sparring over the sand heaps to the west, joined by adventurers and speculators all the way to Rockaway Point. Development syndicates sold land and magnificent new homes were constructed in Belle Harbor and Neponsit, as well as older ‘cottages’ of enormous size on the blocks within walking distance of Fifth Ave. The areas were connected with a trolley line that ran along a portion of Newport Ave. Wealthy philanthropists had joined with a Manhattan hospital, coughing up millions to build a tuberculosis hospital west of Neponsit, and the city constructed a grand beachfront park adjacent to it (now known as Jacob Riis Park). 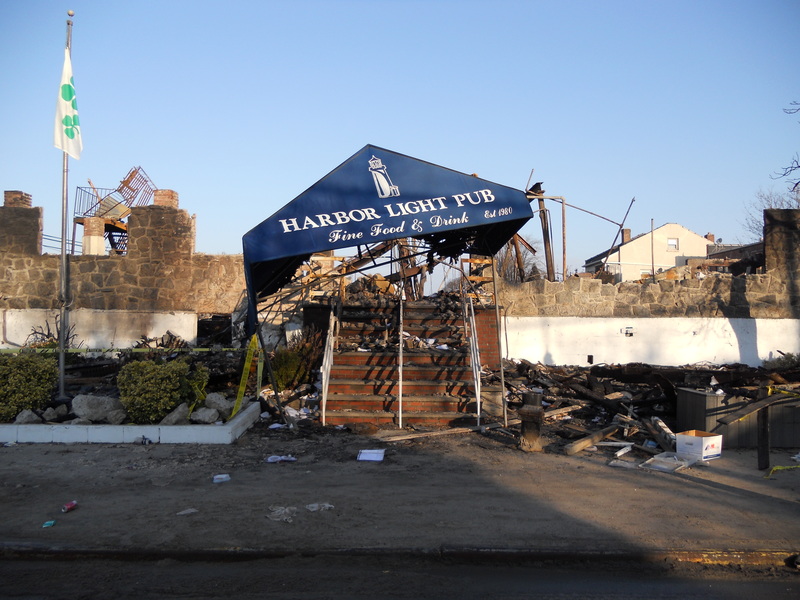 The boundary between Belle Harbor and Rockaway Park was ultimately drawn at Beach 130th Street, so ‘the Park’ came to include a small commercial strip on Beach 129th, extending around the corner of Newport Ave. to the popular Harbor Light Pub, sadly burned to the ground during Superstorm Sandy. Rockaway Park would eventually take in 20 additional blocks originally deeded into Belle Harbor, encompassing the historic ‘Belle Harbor’ Yacht Club at Beach 126th and Beach Channel Drive (circa 1905), the site of St. Andrew’s Episcopal Church on Rockaway Beach Blvd. at Beach 125th (c.1906), and the last remaining hotels in the vicinity– the Seville, the Commodore, and the Washington Hotel. The Seville eventually became a nursing home, then was torn down in the 1990s for new housing. The 1970s saw the closing of the Commodore, and the Episcopal church was sold to developers who constructed a nursing care facility in its place. Washington Hotel was the last to close, in 2006, to make way for semi-attached two-family homes on the site. To this day, schools, houses of worship, medical and other professional offices remain the sole non-residential uses west of Beach 129th Street, and the vast majority of housing in Belle Harbor and Neponsit is now one- to three-family, with rare exceptions. These western ‘suburbs of Rockaway Beach,’ so to speak, became so prosperous, desirable and prestigious, that the beach block of Beach 131st today holds the rare distinction as the only place outside of Manhattan to host the swearing in of two New York City mayors—William O’Dwyer (Jan. 1, 1946), and Abraham Beame (Dec. 31, 1973). But within Rockaway Park, large apartment houses line the former boardwalk and other multi-family homes and rooming houses can be found. But there are no longer any hotels—only one bed and breakfast inn. 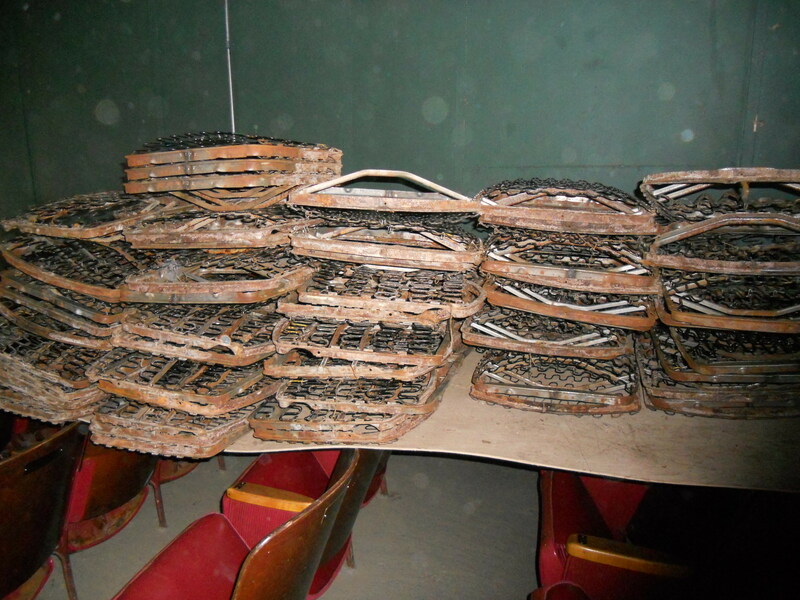 The Park Inn, a magnet for overnight visitors to the beachfront of Beach 116 for decades, ultimately became a social services facility, and the iconic Curley’s Hotel burned to the ground. Business owners and residents of Rockaway Park have grappled with how to reinvigorate the business district and improve the adjacent residential blocks in the future. Superstorm Sandy brought big challenges to Rockaway Park. Extensive flooding and fires occurred, damaging homes and businesses. Trees and lawns were destroyed. Loss of key community gathering spots in Rockaway Park like the library (just recently reopened) and the boardwalk (only now being rebuilt), have taken a toll on businesses struggling to rebuild the ‘Fifth Avenue of the Peninsula’, and residents trying to restore the area’s sense of community. Join us to explore the rich history of Rockaway Park, view a few of its points of interest, and look into the new century with architects proposing plans for the area. 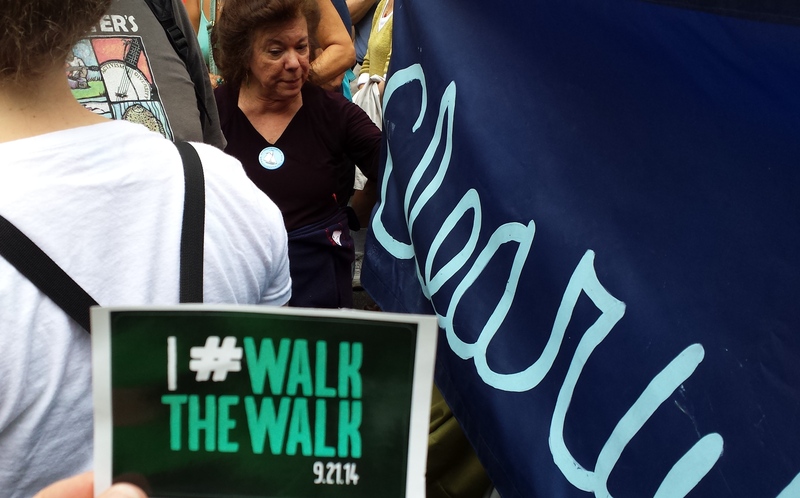 Jane’s Walk 2014, an international event commemorating the legacy of urban planning critic Jane Jacobs, will take place on Saturday, May 3, from 11 a.m. to 1 p.m. This year’s Rockaway Park walk is cosponsored by the Municipal Art Society of New York and the Beach 116th Street Partnership. We will meet at Cuisine by Claudette, 143 Beach 116 St., explore the main street from end to end, then proceed west along the roadway that indelibly changed the area in the late 1930’s—Beach Channel Drive. We will turn south at Beach 129th and discuss the flood and fire damage in the interior blocks of Beach 130th, and view some of the innovative, but controversial, new homes under construction. 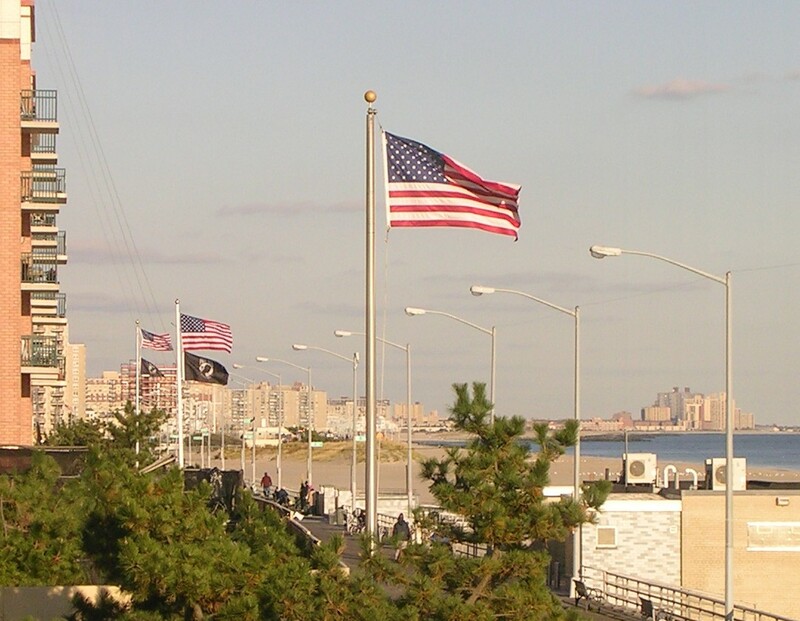 At Rockaway Beach Blvd., we will stop at Beach 131st to take in the location of two mayoral inaugurals, then proceed east past historic St. Francis deSales Roman Catholic Church. 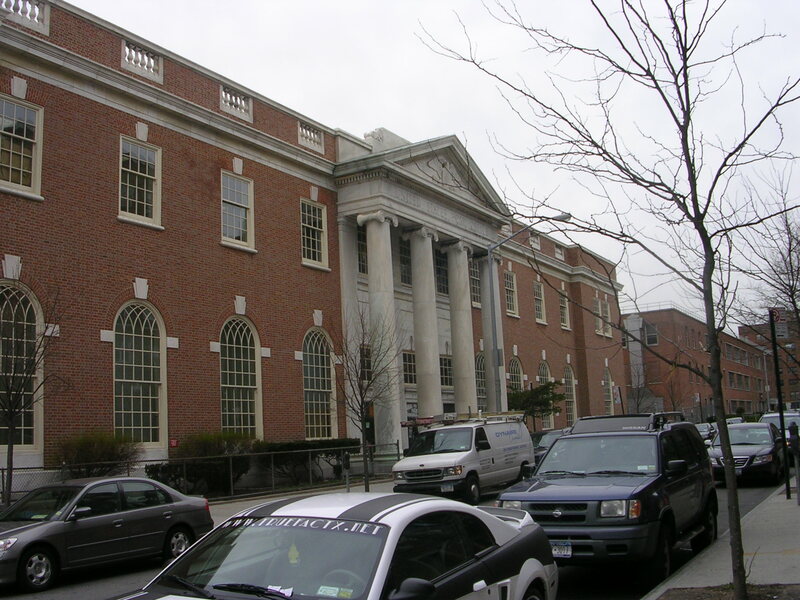 We will pause at Memorial Circle (RBB between 120th and 121st) to look at Temple Beth El (circa 1920s), and the nearby home and medical office of Dr. William Werner, who pioneered the use of hypnosis for anesthesia during childbirth at the Rockaway Beach Hospital in the 1950s, before the Lamaze technique was introduced in the United States. We will return to Beach 116 St. at 1 pm. The walk will cover over 30 blocks, but there are shaded park benches at four locations on the route. Please bring your own water bottle, as time for breaks will be limited. Click on ‘Local Events’ tab for more information. RSVP to Information@shopbeach116.com. Pete at the 2011 Great Hudson River Revival. His voice had failed years ago, but that aura remained. Few can render an old-time folk song these days without attracting snickers. Pete never needed to worry–he practically perfected that musical genre in his lifetime. 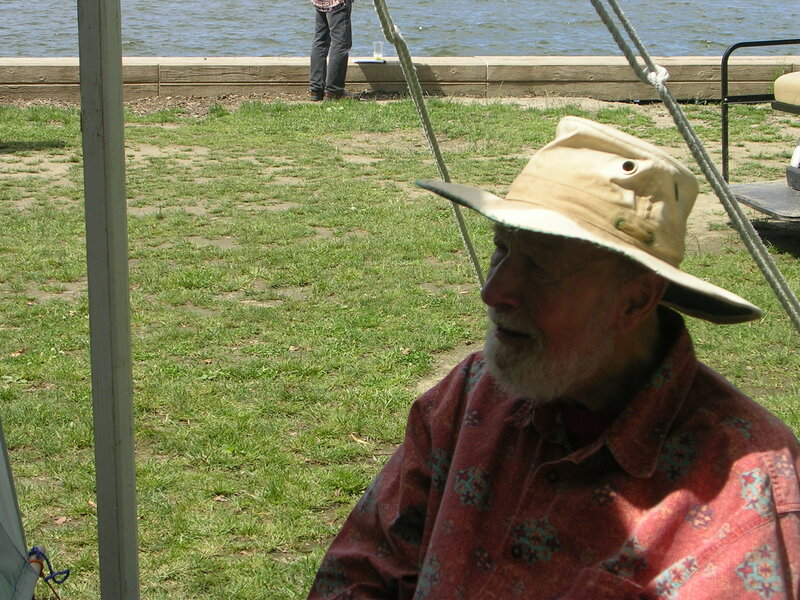 If you were privileged to have sung with him or for him, as I did at the 2011 Great Hudson River Revival, it was an unforgettable experience. Pete’s death on Monday, January 27, 2014 has left a gap that can’t be filled. He was the last of my great heroes. He lived what he believed, and he never seemed to stop believing that things could be better. That the air and water would be cleaner, that people would consume only what they need, that the arc of history would bend more quickly towards justice. Pete had carried out a campaign to draw attention to the real meaning of the holiday celebrating Dr. Martin Luther King, just weeks before his death. A joyous line of singers chanting civil rights hymns paraded through Beacon, New York, on Monday, January 20. Sadly, Pete was unable to attend, a possible signal that his remaining life was slipping away. The loss of his beloved wife, Toshi, in 2013, must have been overwhelming. No matter what he was able to achieve after her death, it wouldn’t be the same without her. We will miss you, magnificent hero. 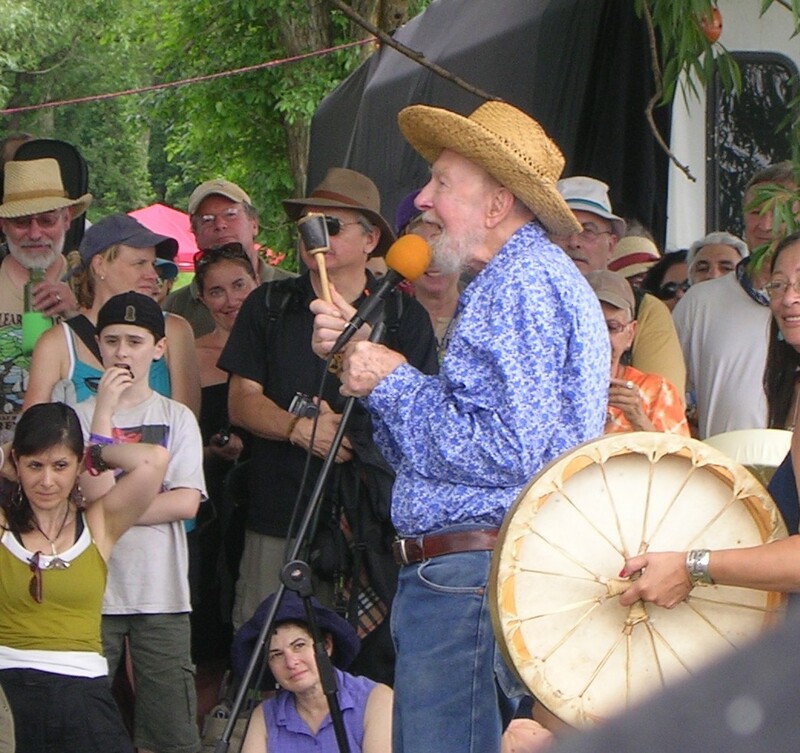 Note to readers: A proposal to rename the Tappan Zee Bridge in honor of Pete Seeger has been proposed by an elected official, and is gathering steam. Please add your voice in favor of this most appropriate honor, at https://www.change.org/petitions/gov-cuomo-name-the-new-tappan-zee-bridge-for-pete-seeger. Also, it is no longer certain that the landscape along the northerly stretch of the Palisades will remain pristine and undeveloped, as Pete would have wished. 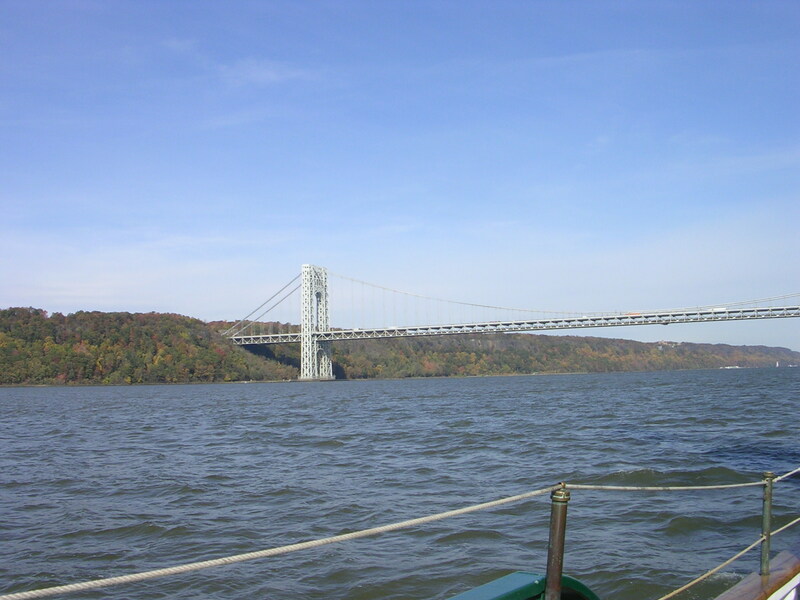 To learn about an alarming proposal in the works by LG Electronics to build a huge office tower atop the Palisades near the George Washington Bridge, visit: http://www.protectthepalisades.org. Article copyright Vivian R. Carter 2014. 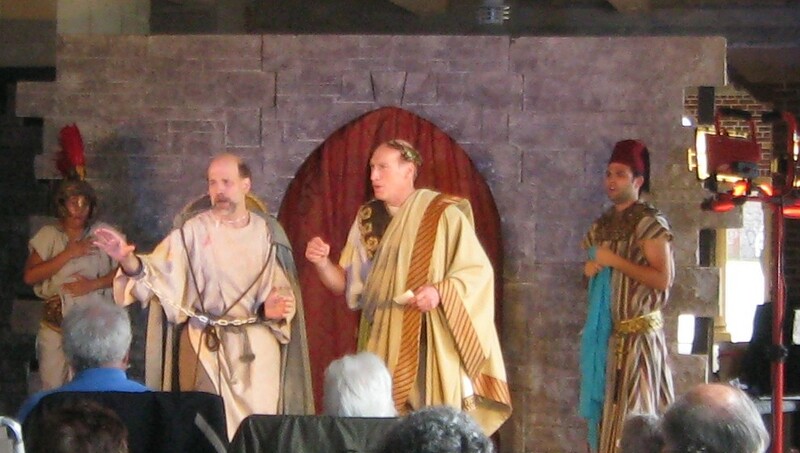 Photo of the Palisades copyright Vivian R. Carter 2010. 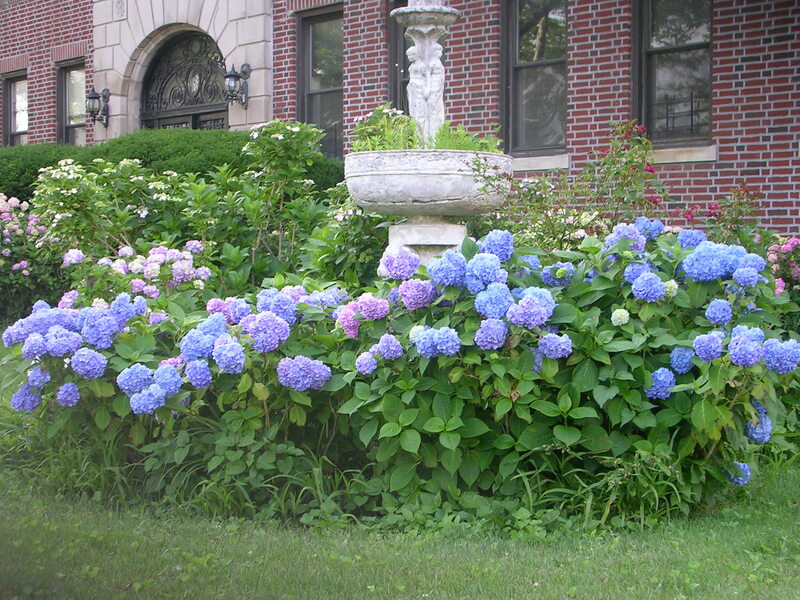 Other photos (including header photo) copyright Vivian R. Carter 2011. More than a year after nature’s damaging blow to the peninsula, I continue my peripatetic existence, traveling back and forth between New York’s upstate and downstate counties. Peripatetic is really the right word, hearkening back to the wandering teachers of Greco-Roman times. Westchester, Putnam, Rockland, Dutchess—if there’s an after-school program or SAT prep class in need of an instructor, I’ll travel…Thanks to those who have persistently inquired as to my whereabouts. Still a mortgagee on a beach block house, I visit regularly and enjoy my family and friends on the Rock. It was great to see neighbors at the polls on election day, to savor those balmy August and September evenings at Rockaway Civic’s Beach Flix, and to shed some nostalgic tears seeing my daughter head off to her freshman year at SUNY Purchase. I now have a little abode in Dutchess County in the shadow of the Fishkill Ridge, a place steeped in mostly forgotten, Revolutionary War history. Why, just this past week, over protests from preservationists, the Village of Fishkill allowed the demolition of the Jackson House, one of the original stagecoach hotels that dotted Route 9 between Albany and New York City. The village’s mayor said the beautiful structure was about to fall down and injure residents, which brought to mind what Mayor Giuliani said about the Neponsit Home over a decade ago. Hasn’t fallen down yet, has it? This past weekend, it was a thrill to attend the rededication of the sanctuary of Breezy Point’s Christ Community Church, rebuilt by the steadfast and cheerful Jim Killoran and his Habitat for Humanity staff, plus numerous volunteers from all over the country. Although Jim hails from Westchester, he has truly dedicated his voluminous skills over the past year to helping out—from Breezy Point to Far Rockaway, plus places in between. Congratulations to Jim, Habitat, the church, and the entire community! On Thursday, December 5, from 6-11 p.m., I will be at the Belle Harbor Yacht Club’s Holiday Boutique, selling and signing copies of Images of America: Rockaway Beach. I will be offering the book for $20 at this event. Admission to the event is free. There will be over 20 vendors, plus raffles and refreshments. 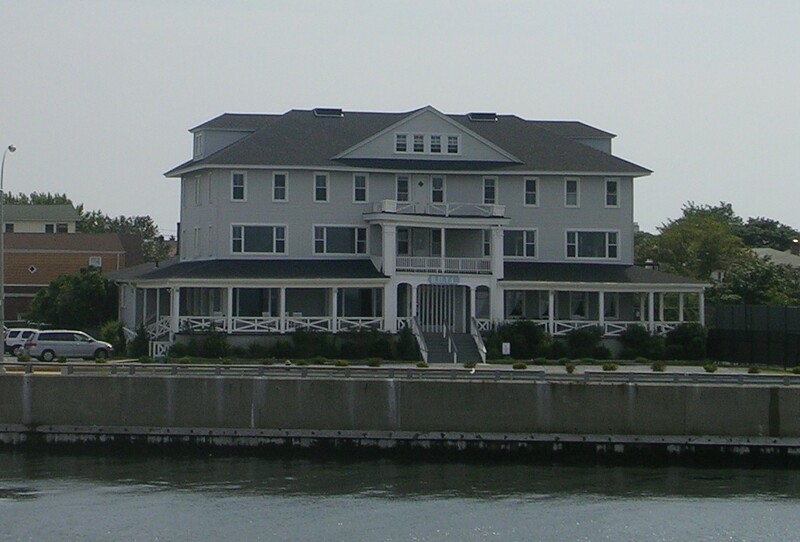 BHYC is at 533 Beach 126th Street (at Beach Channel Drive). 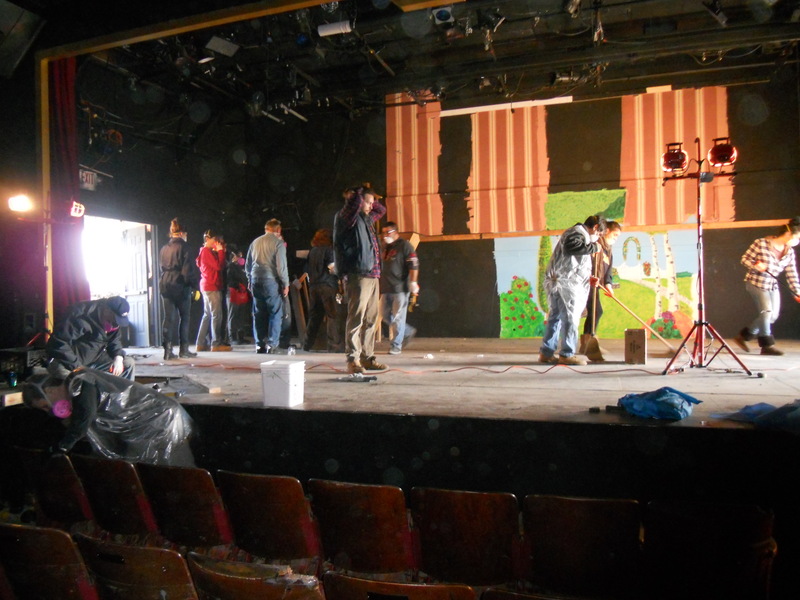 On Friday, December 6, I also hope to make it for the Rockaway Theatre Company’s production of “Inspecting Carol,” the droll holiday comedy which is being staged from Dec. 6-15 (Fridays and Saturdays at 8 p.m., Sunday matinees at 3 p.m.). 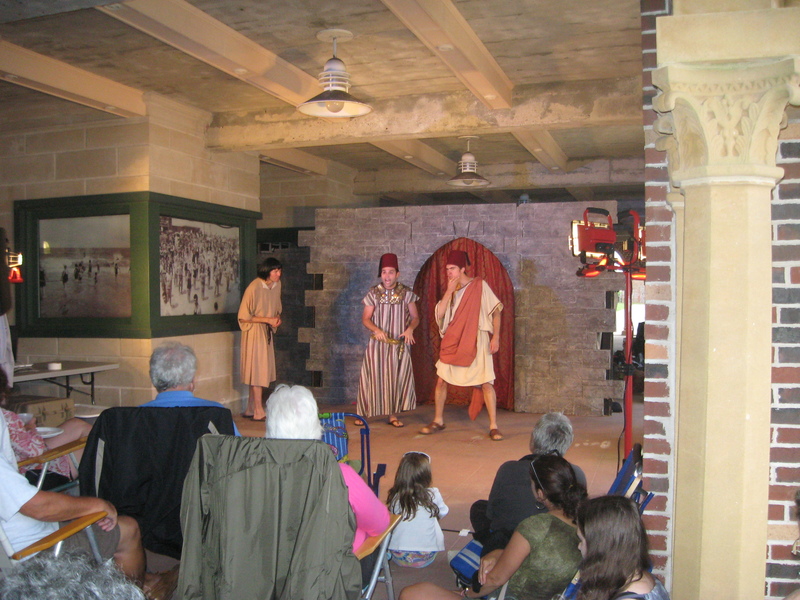 Tickets can be reserved at www.rockawaytheatrecompany.org. Article and header photo copyright 2013, Vivian R. Carter. We can’t find any vintage photos to document what Rockaway Beach looked like when it was first settled in the 1860’s. The closest we have to a visual image is a fisherman’s map, circa 1900, that marks natural features such as marshland, dunes, and trees. That map can be found on page 2 of my book, Images of America: Rockaway Beach. There is a series of 1899 photos of the Seaside section (see pages 57 and 58 of the Seyfried and Asadorian book), documenting that numerous groves of cedar trees remained, even after popular amusement rides had been constructed, and after the Great Seaside Fire had ravaged the area in 1892. This is confirmed by an 1881 publication, Guide to Rockaway Beach and Progress of Popular Favor to the Sea, available online from public domain sources, which glowingly described the offerings of at least twenty “select” hotels, including Seaside House, Atlas Hotel, Surf Pavilion, and the Egbert Emmet House. Thanks to this guide, we know that Otto Huber’s lager (brewed in Williamsburg, thank you), was drawn “fresh and cool from the wood” for serving in the “large picnic grove” at the Seaside Walk House on Remsen Street (between today’s Beach 102nd and Beach 104th Streets). A large and beautiful grove at Atlantic Park Hotel (Beach 75th and the oceanfront) allowed guests to gather “under the shade of the fragrant cedars…[to] enjoy the full benefit of the cool sea breezes.” There are also references to establishments constructed to take advantage of the superior views and cooling breezes afforded by heightened elevation. 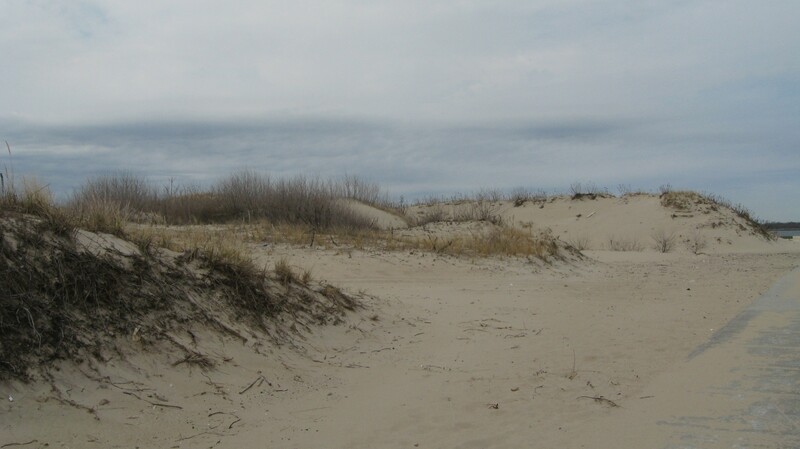 So, the first wave of Rockaway Beach settlers developed the land with at least some semblance of respect for the importance of trees and dunes. However, as the numbers of visitors increased exponentially, it appears that the land was flattened for tent and bungalow colonies (generally constructed quite close to the beach, photos show). Then, these gave way to beachfront high rises, playgrounds, roller rinks and handball courts when Robert Moses left his mark on the peninsula from the 1930’s through the 1960’s. I think it’s past time to reestablish dunes and vegetation on Rockaway Beach. Double dunes, triple dunes, heck, why not quadruple dunes? In the post-Stupid Storm Sandy world, we need all the protection we can get. Text copyright Vivian R. Carter 2013. Photos copyright Vivian R. Carter 2012. 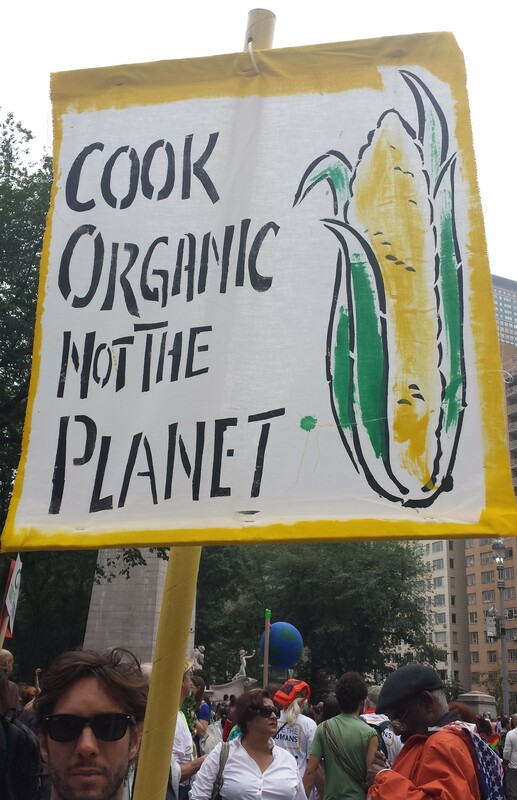 It’s Earth Day–April 22, 2013. The planet and its creatures continue to fascinate. The past half year began by wowing millions with the wind, waves, and fires of Superstorm Sandy. It’s continuing to impress on us the extremes of cruelty that can be caused by humans wielding not only assault weapons in elementary schools, but pressure cookers in backpacks. For those of us in households with children, that is a truly weird confluence of objects to contemplate. For how long will parents think of the troubled Boston Marathon jerks when they cook a corned beef or place a bag lunch or permission slip into their kids’ school bags? 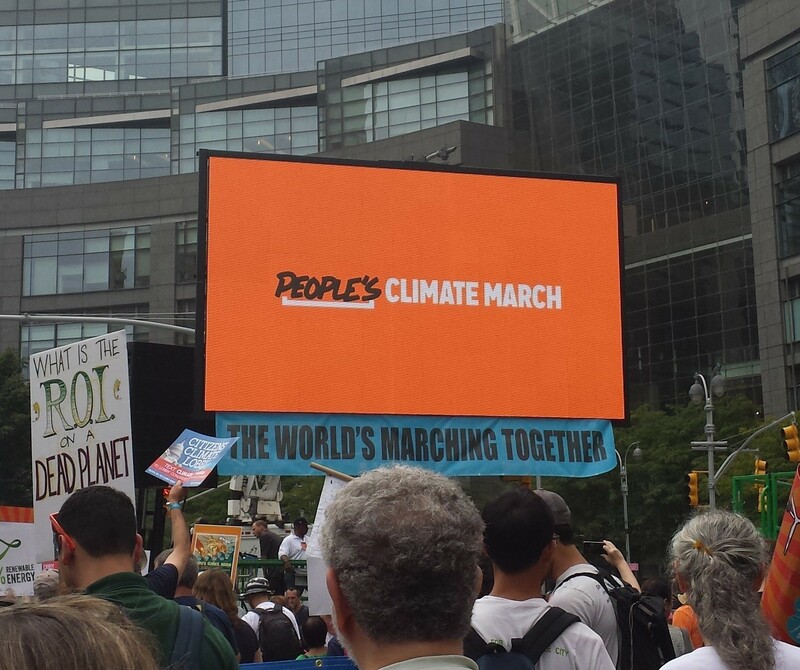 For today, the planet is front and center. I’m including above a view of Kinzua Lake near Warren, Pennsylvania, which I snapped on Good Friday, 2013. The story of this gorgeous landscape (can you imagine how beautiful it is in the fall and summer, when the trees have their foliage?) is a bittersweet and compelling tale of our times. The Seneca Indians were thrown from their ancestral lands near the border of Pennsylvania and New York in the 1960’s to build the huge hydroelectric Kinzua Dam, which came online in 1970. The U.S. Supreme Court had dismissed a lawsuit brought by a group of Quaker activists attempting to block the removal as a violation of early U.S. treaties with the Indian tribes. THESE EVENTS OCCURRED IN THE 1960s, FOLKS! Not in the 1860s. Ostensibly, the motivation to build the dam was flood control. 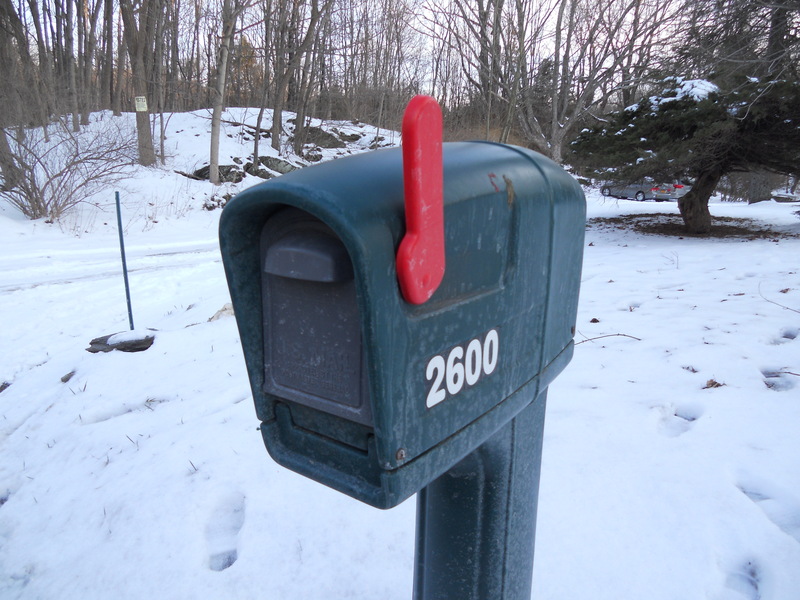 That has been a success, according to the U.S. Army Corps of Engineers, which cites hundreds of millions in avoided property damage in downriver towns and cities. We also enjoy breathtaking views of an enormous lake, added recreational opportunities, and lots of hydroelectric power for Cleveland and Pittsburgh. But given our appetite for power, it’s never enough. Lots of hydraulic fracturing (“fracking”) to find natural gas supplies is going on up there in Northwestern Pennsylvania these days. The Senecas are running their casino in Salamanca, New York. The lights are on in the Walmarts. Amen. Is it progress? The answer depends on whom you ask. Robert Moses, the expert at Getting Things Done to advance the hegemony of the automobile, probably applauded the plans for Kinzua. 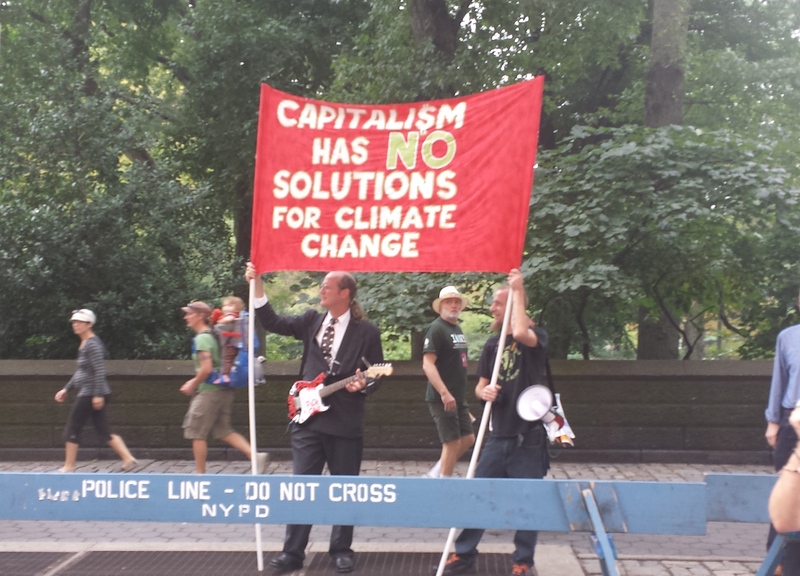 The activist song-writers and singers of the 1960s, including Bob Dylan and Johnny Cash, did not. Cash recorded (and Dylan reportedly once sang on stage) a ballad about the Kinzua Dam controversy written by Peter LaFarge, called “As Long as the Grass Shall Grow.” You can find the song and its lyrics in recorded tracks and videos online, if you are so inclined. I rarely touch chemical cleaning products anymore. Nothing cleans much better than baking soda, white vinegar, and a vinyl scrubber sponge, anyway. My kitchen and bathroom counters sport dish detergent squeeze bottles filled with vinegar, and snap-top containers of baking soda. Much better for our water supply and all the creatures that inhabit the planet. Last, but not least, at the beginning of March, I purchased a 7-year old Honda Civic hybrid, which is getting 40-60 miles per gallon, 80,000 miles into its lifetime. Hope you find your way to make this an enlightening Earth Day. 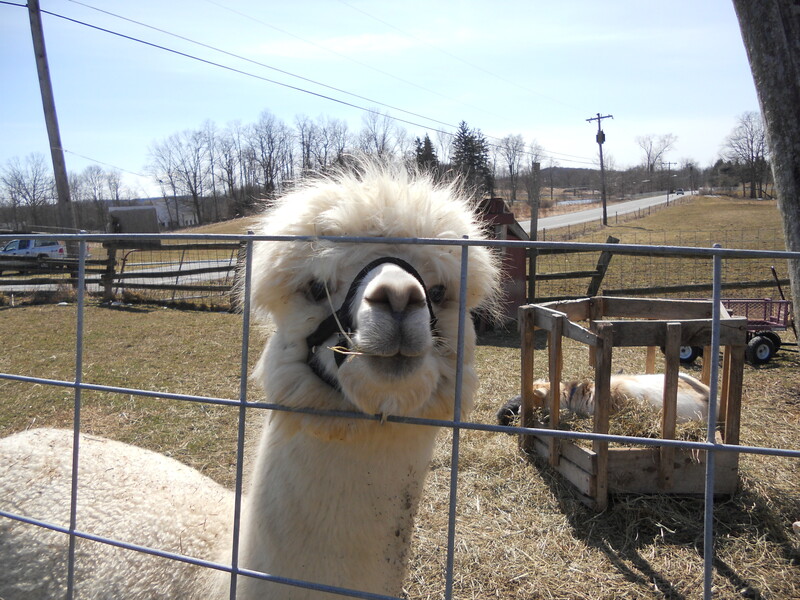 Text and photos of Kinzua Dam and Dutchess County llama, copyright 2013 Vivian R. Carter. Photos of Jamaica Bay marsh grass and rare bird seen in Belle Harbor, copyright 2012 Vivian R. Carter.